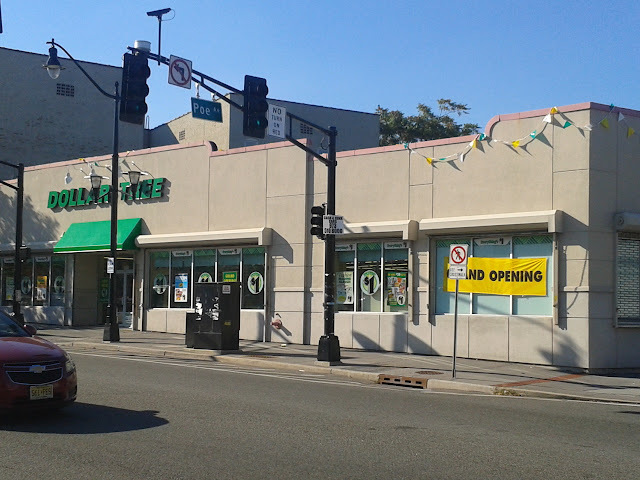 Newark, New Jersey: Dollar Tree will soon become a common sight in retail strips throughout Greater Newark. The chain has begun the process of converting Family Dollar locations in Essex County into Dollar Tree stores. Dollar Tree recently acquired Family Dollar to become one of the largest discount store chains in the country. The Family Dollar location at 1111 South Orange Avenue in Newark closed in August and reopened this month as a Dollar Tree store. The store, located a few yards from the South Orange border in the Vailsburg section of Newark's West Ward, originally became a Family Dollar store in 2012. At the time, Family Dollar expanded its presence in Northern New Jersey, causing for an increase in area store locations. There are currently 18 Family Dollar stores in Essex County. Until now, Dollar Tree stores in Essex County have been limited to a location each in Maplewood, Irvington, Newark's Ironbound, and West Orange. Dollar Tree is also planning to open new stores in Orange and East Orange.